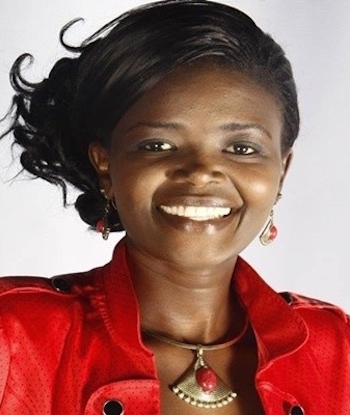 Eunice Njeri Mathenge is a renowned gospel artist in Kenya but more than that she has a heart for the poor and marginalised. She’s been supporting poor girls in Lodwar and West Pokot to attend school without missing classes when they are on their menstruation period by providing sanitary towels to them. Many of the girls in those communities cannot afford sanitary towels thus forcing them be absent from school on those special days. She travels to these areas several times a year to ensure the sanitary towels are delivered to the girls and organizes concerts where people donate clothing and food as well. In one of her charity events in 2014, she was able to collect 10,000 sanitary towels, which were taken to West Pokot and Lodwar. She works with missionaries from Canada who assist with medicine and also preach to the community and give them hope. As a gospel artist and someone the community considers a celebrity, she nonetheless lives with the people she serves in her visits to Lodwar and West Pokot, sleeping on the floor without a mattress for two weeks every time she travels to those areas on her missions of service. Giraffe Heroes Kenya wishes to recognize Eunice Njeri for ‘sticking out her neck’ for the common good and her desire to lighten the loads, strengthen the hearts, and improve the lives of those in his circle of influence.